I am trying something new, a blogospheric experiment, if you will. I have been a fairly active participant in the blogosphere since 2006, and recently posted two essays on climategate, one at climateaudit.org and the other at climateprogress.org. Both essays were subsequently picked up by other blogs, and the diversity of opinions expressed at the different blogs was quite interesting. Hence I am distributing this essay to a number of different blogs simultaneously with the hope of demonstrating the collective power of the blogosphere to generate ideas and debate them. I look forward to a stimulating discussion on this important topic. Climategate has now become broadened in scope to extend beyond the CRU emails to include glaciergate and a host of other issues associated with the IPCC. In responding to climategate, the climate research establishment has appealed to its own authority and failed to understand that climategate is primarily a crisis of trust. Finally, we have an editorial published in Science on February 10 from Ralph Cicerone, President of the National Academy of Science, that begins to articulate the trust issue: “This view reflects the fragile nature of trust between science and society, demonstrating that the perceived misbehavior of even a few scientists can diminish the credibility of science as a whole. What needs to be done? Two aspects need urgent attention: the general practice of science and the personal behaviors of scientists.” While I applaud loudly Dr. Cicerone’s statement, I wish it had been made earlier and had not been isolated from the public by publishing the statement behind paywall at Science. Unfortunately, the void of substantive statements from our institutions has been filled in ways that have made the situation much worse. Credibility is a combination of expertise and trust. While scientists persist in thinking that they should be trusted because of their expertise, climategate has made it clear that expertise itself is not a sufficient basis for public trust. The fallout from climategate is much broader than the allegations of misconduct by scientists at two universities. Of greatest importance is the reduced credibility of the IPCC assessment reports, which are providing the scientific basis for international policies on climate change. Recent disclosures about the IPCC have brought up a host of concerns about the IPCC that had been festering in the background: involvement of IPCC scientists in explicit climate policy advocacy; tribalism that excluded skeptics; hubris of scientists with regards to a noble (Nobel) cause; alarmism; and inadequate attention to the statistics of uncertainty and the complexity of alternative interpretations. The scientists involved in the CRU emails and the IPCC have been defended as scientists with the best of intentions trying to do their work in a very difficult environment. They blame the alleged hacking incident on the “climate denial machine.” They are described as fighting a valiant war to keep misinformation from the public that is being pushed by skeptics with links to the oil industry. They are focused on moving the science forward, rather than the janitorial work of record keeping, data archival, etc. They have had to adopt unconventional strategies to fight off what they thought was malicious interference. They defend their science based upon their years of experience and their expertise. Scientists are claiming that the scientific content of the IPCC reports is not compromised by climategate. The jury is still out on the specific fallout from climategate in terms of the historical and paleo temperature records. There are larger concerns (raised by glaciergate, etc.) particularly with regards to the IPCC Assessment Report on Impacts (Working Group II): has a combination of groupthink, political advocacy and a noble cause syndrome stifled scientific debate, slowed down scientific progress and corrupted the assessment process? If institutions are doing their jobs, then misconduct by a few individual scientists should be quickly identified, and the impacts of the misconduct should be confined and quickly rectified. Institutions need to look in the mirror and ask the question as to how they enabled this situation and what opportunities they missed to forestall such substantial loss of public trust in climate research and the major assessment reports. In their misguided war against the skeptics, the CRU emails reveal that core research values became compromised. Much has been said about the role of the highly politicized environment in providing an extremely difficult environment in which to conduct science that produces a lot of stress for the scientists. There is no question that this environment is not conducive to science and scientists need more support from their institutions in dealing with it. However, there is nothing in this crazy environment that is worth sacrificing your personal or professional integrity. And when your science receives this kind of attention, it means that the science is really important to the public. Therefore scientists need to do everything possible to make sure that they effectively communicate uncertainty, risk, probability and complexity, and provide a context that includes alternative and competing scientific viewpoints. This is an important responsibility that individual scientists and particularly the institutions need to take very seriously. Both individual scientists and the institutions need to look in the mirror and really understand how this happened. Climategate isn’t going to go away until these issues are resolved. Science is ultimately a self-correcting process, but with a major international treaty and far-reaching domestic legislation on the table, the stakes couldn’t be higher. Over the last few months, I have been trying to understand how this insane environment for climate research developed. In my informal investigations, I have been listening to the perspectives of a broad range of people that have been labeled as “skeptics” or even “deniers”. I have come to understand that global warming skepticism is very different now than it was five years ago. Here is my take on how global warming skepticism has evolved over the past several decades. In the 1980’s, James Hansen and Steven Schneider led the charge in informing the public of the risks of potential anthropogenic climate change. Sir John Houghton and Bert Bolin played similar roles in Europe. This charge was embraced by the environmental advocacy groups, and global warming alarmism was born. During this period I would say that many if not most researchers, including myself, were skeptical that global warming was detectable in the temperature record and that it would have dire consequences. The traditional foes of the environmental movement worked to counter the alarmism of the environmental movement, but this was mostly a war between advocacy groups and not an issue that had taken hold in the mainstream media and the public consciousness. In the first few years of the 21st century, the stakes became higher and we saw the birth of what some have called a “monolithic climate denial machine”. Skeptical research published by academics provided fodder for the think tanks and advocacy groups, which were fed by money provided by the oil industry. This was all amplified by talk radio and cable news. In 2006 and 2007, things changed as a result of Al Gore’s movie “An Inconvenient Truth” plus the IPCC 4th Assessment Report, and global warming became a seemingly unstoppable juggernaut. The reason that the IPCC 4th Assessment Report was so influential is that people trusted the process the IPCC described: participation of a thousand scientists from 100 different countries, who worked for several years to produce 3000 pages with thousands of peer reviewed scientific references, with extensive peer review. Further, the process was undertaken with the participation of policy makers under the watchful eyes of advocacy groups with a broad range of conflicting interests. As a result of the IPCC influence, scientific skepticism by academic researchers became vastly diminished and it became easier to embellish the IPCC findings rather than to buck the juggernaut. Big oil funding for contrary views mostly dried up and the mainstream media supported the IPCC consensus. But there was a new movement in the blogosphere, which I refer to as the “climate auditors”, started by Steve McIntyre. The climate change establishment failed to understand this changing dynamic, and continued to blame skepticism on the denial machine funded by big oil. Steve McIntyre started the blog climateaudit.org so that he could defend himself against claims being made at the blog realclimate.org with regards to his critique of the “hockey stick” since he was unable to post his comments there. 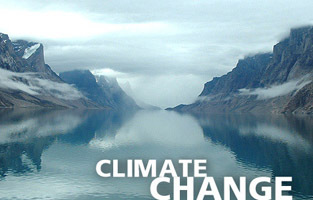 Climateaudit has focused on auditing topics related to the paleoclimate reconstructions over the past millennia (in particular the so called “hockey stick”) and also the software being used by climate researchers to fix data problems due to poor quality surface weather stations in the historical climate data record. McIntyre’s “auditing” became very popular not only with the skeptics, but also with the progressive “open source” community, and there are now a number of such blogs. The blog with the largest public audience is wattsupwiththat.com, led by weatherman Anthony Watts, with over 2 million unique visitors each month. So who are the climate auditors? They are technically educated people, mostly outside of academia. Several individuals have developed substantial expertise in aspects of climate science, although they mainly audit rather than produce original scientific research. They tend to be watchdogs rather than deniers; many of them classify themselves as “lukewarmers”. They are independent of oil industry influence. They have found a collective voice in the blogosphere and their posts are often picked up by the mainstream media. They are demanding greater accountability and transparency of climate research and assessment reports. So what motivated their FOIA requests of the CRU at the University of East Anglia? Last weekend, I was part of a discussion on this issue at the Blackboard. Among the participants in this discussion was Steven Mosher, who broke the climategate story and has already written a book on it here. They are concerned about inadvertent introduction of bias into the CRU temperature data by having the same people who create the dataset use the dataset in research and in verifying climate models; this concern applies to both NASA GISS and the connection between CRU and the Hadley Centre. This concern is exacerbated by the choice of James Hansen at NASA GISS to become a policy advocate, and his forecasts of forthcoming “warmest years.” Medical research has long been concerned with the introduction of such bias, which is why they conduct double blind studies when testing the efficacy of a medical treatment. Any such bias could be checked by independent analyses of the data; however, people outside the inner circle were unable to obtain access to the information required to link the raw data to the final analyzed product. Further, creation of the surface data sets was treated like a research project, with no emphasis on data quality analysis, and there was no independent oversight. Given the importance of these data sets both to scientific research and public policy, they feel that greater public accountability is required. So why do the mainstream climate researchers have such a problem with the climate auditors? The scientists involved in the CRU emails seem to regard Steve McIntyre as their arch-nemesis (Roger Pielke Jr’s term). Steve McIntyre’s early critiques of the hockey stick were dismissed and he was characterized as a shill for the oil industry. Academic/blogospheric guerilla warfare ensued, as the academic researchers tried to prevent access of the climate auditors to publishing in scientific journals and presenting their work at professional conferences, and tried to deny them access to published research data and computer programs. The bloggers countered with highly critical posts in the blogosphere and FOIA requests. And climategate was the result. are doing this work for free, and have been playing a watchdog role, which has engendered the trust of a large segment of the population. Rebuilding trust with the public on the subject of climate research starts with Ralph Cicerone’s statement “Two aspects need urgent attention: the general practice of science and the personal behaviors of scientists.” Much has been written about the need for greater transparency, reforms to peer review, etc. and I am hopeful that the relevant institutions will respond appropriately. Investigations of misconduct are being conducted at the University of East Anglia and at Penn State. Here I would like to bring up some broader issues that will require substantial reflection by the institutions and also by individual scientists. Climate research and its institutions have not yet adapted to its high policy relevance. How scientists can most effectively and appropriately engage with the policy process is a topic that has not been adequately discussed (e.g. the “honest broker” challenge discussed by Roger Pielke Jr), and climate researchers are poorly informed in this regard. The result has been reflexive support for the UNFCCC policy agenda (e.g. carbon cap and trade) by many climate researchers that are involved in the public debate (particularly those involved in the IPCC), which they believe follows logically from the findings of the (allegedly policy neutral) IPCC. The often misinformed policy advocacy by this group of climate scientists has played a role in the political polarization of this issue.. The interface between science and policy is a muddy issue, but it is very important that scientists have guidance in navigating the potential pitfalls. Improving this situation could help defuse the hostile environment that scientists involved in the public debate have to deal with, and would also help restore the public trust of climate scientists. The failure of the public and policy makers to understand the truth as presented by the IPCC is often blamed on difficulties of communicating such a complex topic to a relatively uneducated public that is referred to as “unscientific America” by Chris Mooney. Efforts are made to “dumb down” the message and to frame the message to respond to issues that are salient to the audience. People have heard the alarm, but they remain unconvinced because of a perceived political agenda and lack of trust of the message and the messengers. At the same time, there is a large group of educated and evidence driven people (e.g. the libertarians, people that read the technical skeptic blogs, not to mention policy makers) who want to understand the risk and uncertainties associated with climate change, without being told what kinds of policies they should be supporting. More effective communication strategies can be devised by recognizing that there are two groups with different levels of base knowledge about the topic. But building trust through public communication on this topic requires that uncertainty be acknowledged. My own experience in making public presentations about climate change has found that discussing the uncertainties increases the public trust in what scientists are trying to convey and doesn’t detract from the receptivity to understanding climate change risks (they distrust alarmism). Trust can also be rebuilt by discussing broad choices rather than focusing on specific policies. And finally, the blogosphere can be a very powerful tool for increasing the credibility of climate research. “Dueling blogs” (e.g. climateprogress.org versus wattsupwiththat.com and realclimate.org versus climateaudit.org) can actually enhance public trust in the science as they see both sides of the arguments being discussed. Debating science with skeptics should be the spice of academic life, but many climate researchers lost this somehow by mistakenly thinking that skeptical arguments would diminish the public trust in the message coming from the climate research establishment. Such debate is alive and well in the blogosphere, but few mainstream climate researchers participate in the blogospheric debate. The climate researchers at realclimate.org were the pioneers in this, and other academic climate researchers hosting blogs include Roy Spencer, Roger Pielke Sr and Jr, Richard Rood, and Andrew Dessler. The blogs that are most effective are those that allow comments from both sides of the debate (many blogs are heavily moderated). While the blogosphere has a “wild west” aspect to it, I have certainly learned a lot by participating in the blogospheric debate including how to sharpen my thinking and improve the rhetoric of my arguments. Additional scientific voices entering the public debate particularly in the blogosphere would help in the broader communication efforts and in rebuilding trust. And we need to acknowledge the emerging auditing and open source movements in the in the internet-enabled world, and put them to productive use. The openness and democratization of knowledge enabled by the internet can be a tremendous tool for building public understanding of climate science and also trust in climate research. No one really believes that the “science is settled” or that “the debate is over.” Scientists and others that say this seem to want to advance a particular agenda. There is nothing more detrimental to public trust than such statements. And finally, I hope that this blogospheric experiment will demonstrate how the diversity of the different blogs can be used collectively to generate ideas and debate them, towards bringing some sanity to this whole situation surrounding the politicization of climate science and rebuilding trust with the public.